In villages across Sierra Leone, most parents—and the responsibility is usually left to the mother—must walk several miles to farm, carrying their children on their backs. Children are often left unattended or in the care of siblings as young as five years of age—who themselves need care, supervision, and schooling. Often, parents’ only option is to leave them sitting under a hut while they tend to their crops, in hopes of providing food for their families. The issues of food insecurity, poor nutrition and health, environmental degradation, and lack of economic sustenance are directly connected with limited access to early childhood development and education, illiteracy, child labor, violence, and neglect within and outside of homes. SLFND's Dovalema Early Childhood Co-op answers the need for childcare services in village communities by co-creating an indigenous, culturally-specific, environmentally-focused, healing centered compound and curriculum to supports the social, emotional, cognitive, and physical needs of participating children ages 2-5. Beyond direct childcare services for participating families, Dovalema serves as a hub where all village families gather to gain greater understanding and advocacy skills related to preventive health, child development nonviolent discipline, child labor, and abuse. 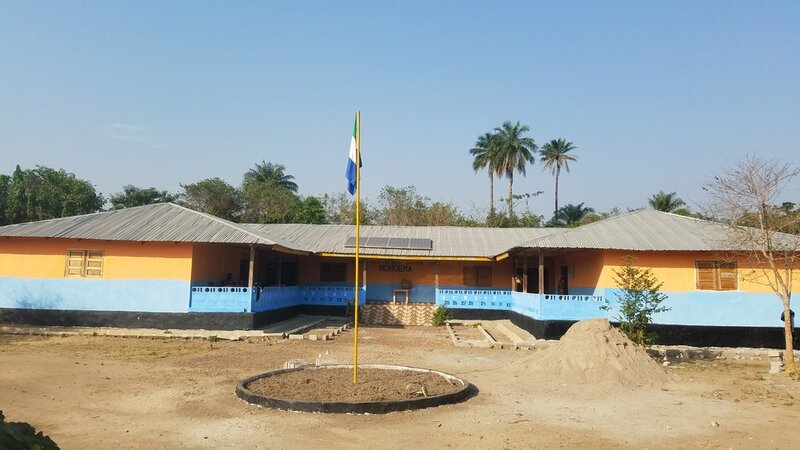 Sierra Leone's first village early childhood education center opened in the village of Mondema, Kenema District, with 215 children—nearly all of Mondema’s children—being enrolled by their families. Drawing on ancestral values placed on children and collectivism, villagers chose to focus on care for their children before any other issue, and they chose to build a new structure rather than starting with an existing building that would not accommodate all the village’s children. 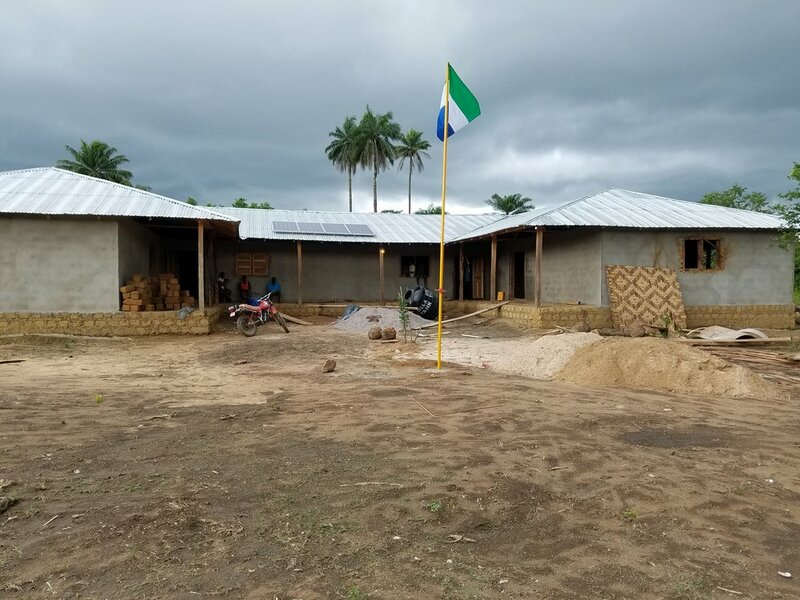 More than 150 villagers and 30 volunteers have contributed their labor and expertise to design and build the Dovalema compound, brick by brick. Participating families still contribute 8 hours per month to the school—whether by working on the surrounding Ta-Valema Permaculture Farm & Learning Lab or by teaching a lesson that taps into the interdisciplinarity of indigenous knowledge. The Dovalema compound already features: 6 classrooms for instruction; a solar roof; a water well and hand-held pump for safely drawing water; two hand-washing stations for preventive hygiene; a water filter for potable water; small, vertical gardens maintained by each participating child; a fruit forest, bread bakery, vegetable gardens, and smoke-free kitchen, for fresh meals; a courtyard for formal and informal gatherings; latrines and a water faucet, which keep many children around the world—especially girls—from attending school; and a nature-based playground (in progress) for safe and free play. Dovalema’s teachers are intentionally recruited, selected, trained, and paid in the village of Mondema itself. Having successfully completed primary and secondary school, they are faced with the predicament of whether to stay in the community or leave in search of further education and employment that will allow them to support their families. 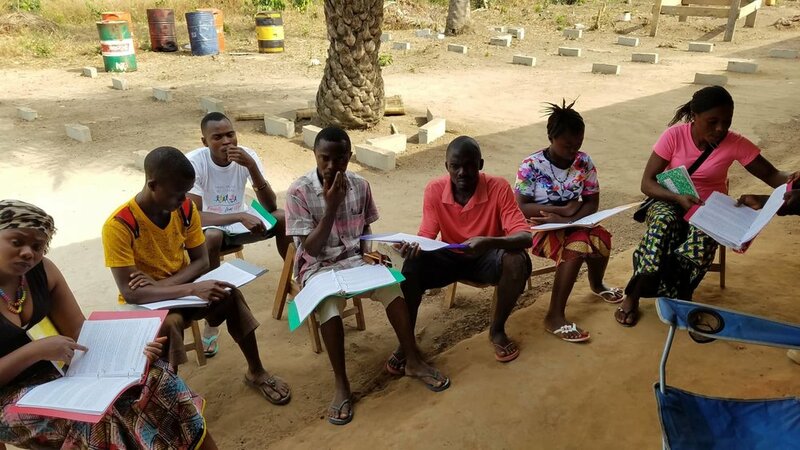 Recognizing that out-migration contributes to the disintegration of village communities and indigenous knowledge and innovation, SLFND is financing the teachers’ formal tertiary education as they develop Dovalema’s curriculum with participating families. No one knows better what village children need to be able to grow up and contribute meaningfully to their families and communities than these teachers and parents. Like Dovalema teachers, staff in Dovalema’s surrounding Ta-Valema Permaculture Farm, bakery, and kitchen each comprise an SLFND-administered Social Enterprise Cooperative where they build skills as well as income, access to infrastructure, and collective power.